Emerging from a NY subway on her way home from college, Lucy (Brittany Snow, Pitch Perfect) discovers her neighborhood of Bushwick engulfed in utter chaos. 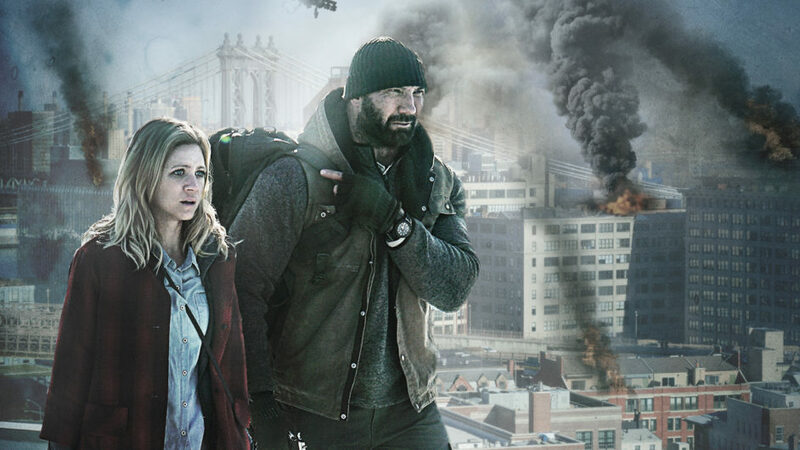 Trying to escape the violence, Lucy seeks refuge in the basement of Stupe (Dave Bautista, Guardians of the Galaxy), a former Marine on his way out of town to find his family. As the unlikely pair navigate through a hail of gunfire and lethal explosions, they learn they are in the middle of a civil war as Texas attempts to secede from the US. With the clash between local residents and the militia escalating, Lucy and Stupe must rely on each other in an impossible race to get out of the city and survive another day.